The Pioneer Village at Bonanzaville USA will make you feel like you’re living in the 1800s during the Pioneer Days this weekend. If you’re not familiar with this soft Norweigan flatbread, you should be. Made with potatoes, flour, butter and milk, these crepe-like desserts (or side-dishes) are basically the most Norweigan dish you’ll eat all week. Come to the Hagen House learn how the pros make their Lefse. Taking place on Sunday only, this demonstration will show you how the spinning wheel allowed artists to be more productive with their thread making. This was vital for people living in rural areas because they could create their own clothing. Especially important when you live in one of the coldest places in the United States – you could quickly use wool to create jackets, blankets, socks and more. Check out how people “back-in-the-day” fixed their tools, horse shoes, and more! 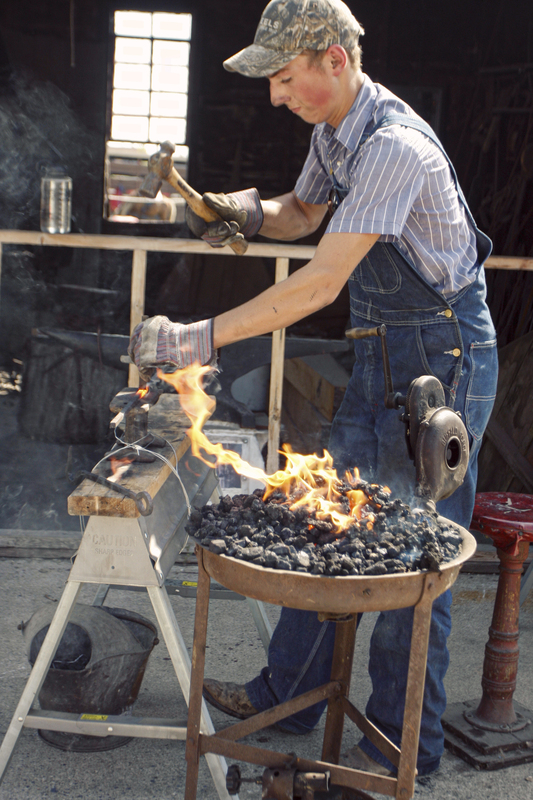 Blacksmiths were a very vital part of the community as they were the ones who made all of the most complex things made out of wrought iron or steel. This is something that farmers do in order to separate grain from a plant. Nowadays, farmers use combine harvesters which can get an entire field done in a day. Back when the farmers were first moving to the Red River Valley, it was done by hand; this took about an hour to get through just one bushel of wheat! Witness the beautiful Native American song and dance through their demonstrations happening each day. Learn about the sweat lodge – a low profile hut that is used for ceremonies – and what the meaning of the sweat to their culture. Some of the other demonstrations include: making kuchen, embroidery, butter churning, braided rugs, and print shop presses. There will be many volunteers throughout the entire grounds dressed as if they just came off of a mid-1800s farm along with live demonstrations showing you how these people lived back then. 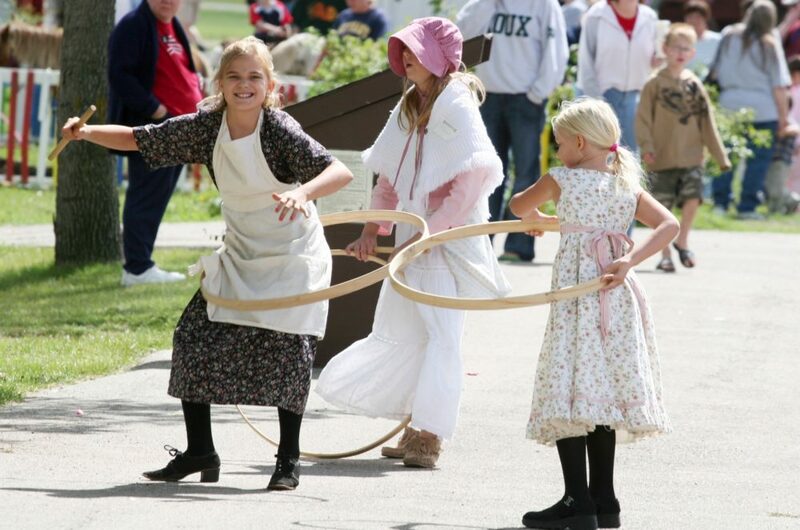 Dress up in the pioneer costume contest, send your kids on the tractor pull or to play a historic children game. Or just wander through the village and chat with the docents scattered throughout. The parade will take place at 2pm both days. It will go right down the main street of the village near the church. Watch many different groups representing the area in different ways! 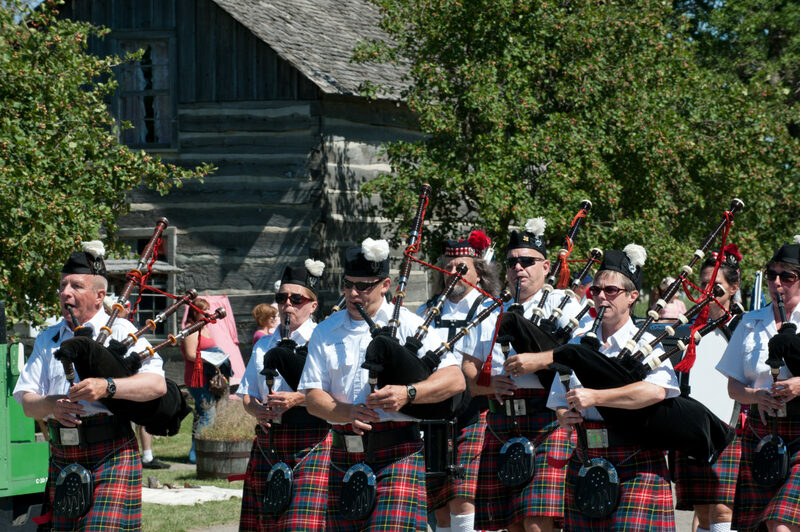 Including – bag pipes, tractor pulls, and more! Although all of the activities will welcome kids, there are some stops that will cater more towards the kiddos. Kid’s crafts, kiddie tractor pull, and horse drawn wagon rides will be going on throughout the weekend. Have your little ones chat with the costumed docents and demonstrators to get an even better idea of what life was like on the prairie! Kids are welcome to go on the hunt for the coins hiding in the hay throughout the village. They’ll want to check them all to make sure they don’t miss any of the coins hidden in the haystacks! 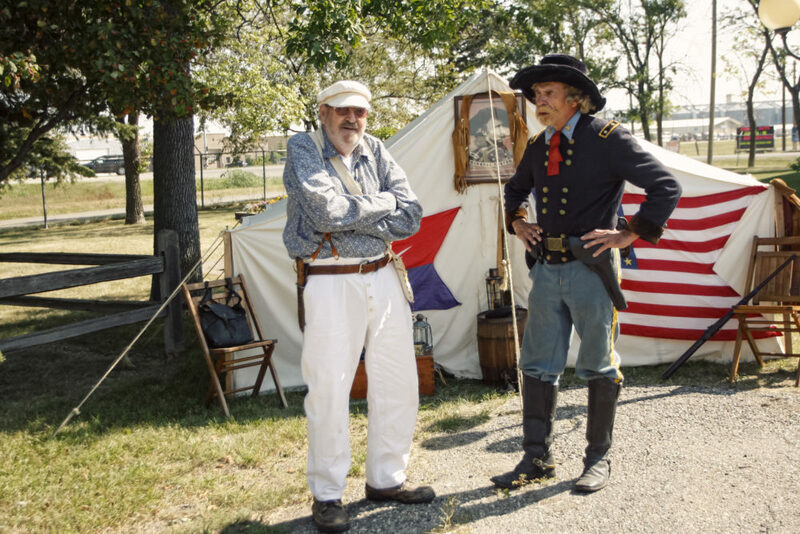 Learn what life was like on the prairie this weekend at Pioneer Days at Bonanzaville. It will give you a better idea of how our ancestors created life in the Red River Valley!